Taxes are one of the few guarantees in life. Preparing your taxes can often be confusing, and even a little daunting, for many people, especially those without prior experience. Whether you are an individual scrambling to file your tax return before the April deadline or a small business owner trying to figure out where to start, Five Star Multiple Services can help you be proactive with your finances and maximize your tax deductions, setting you up for future financial success. Have your taxes prepared by real people who genuinely care about saving you money and, in turn, invest in your financial future. Whether you are in need of help with filing your tax return before the April deadline, filing an extension on your taxes, or simply understanding what is happening with your taxes and how you can save money, Five Star Multiple Services can help. We are highly skilled in all tax-related subjects and can help you prepare and file your annual tax return. Additionally, we can represent you with the IRS if any sort of challenge arises, so you can rest assured that we will work with you to ensure that you are well taken care of. We also offer tax planning to our customers, meaning that we can help you evaluate your previous tax returns before the end of the year to ensure that you are taking maximum advantage of any tax benefits available to you. For small business owners, we can work with you to pay your quarterly sales taxes, as well as your monthly, quarterly, and annual payroll taxes. 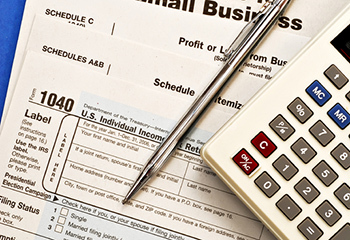 If you are in need of tax preparation services, call or visit us today!